Another Reed invention that needs only 4” (102 mm) of clearance around pipe. Efficient handle swing of only 90° to 110°. 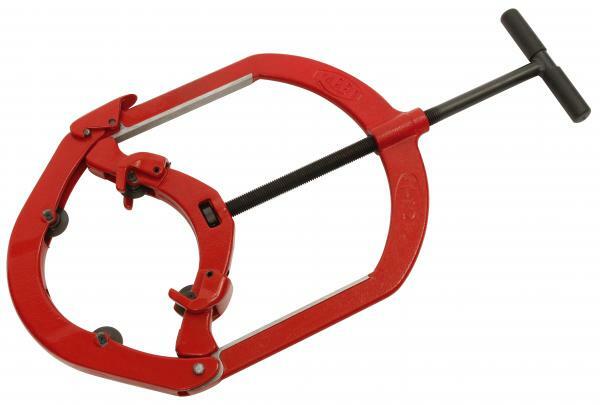 Opens with hinge to place cutter around the pipe. Can be used anywhere - in the ditch, underwater, overhead, in racks of pipe!